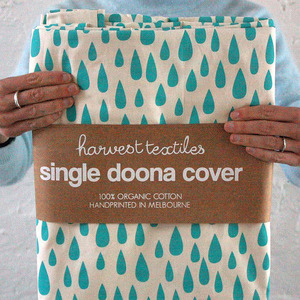 I met Megan who is behind this gorgeous little label last year at Maryanne Moodie’s Weaving classes up in Brisbane. 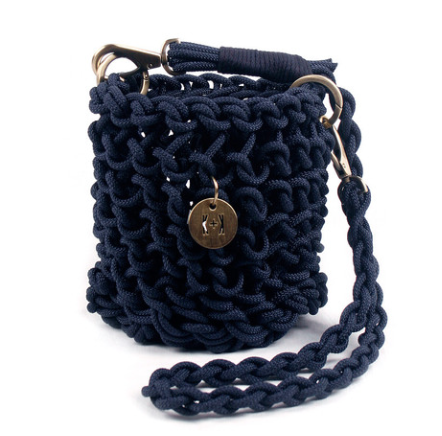 She has completely cornered the market for these classy yet casual hand knitted bags and clutches in her signature quality rope and brass fittings. She makes every single one of them herself and also releases one off’s and numbered run’s for that ultra unique touch. 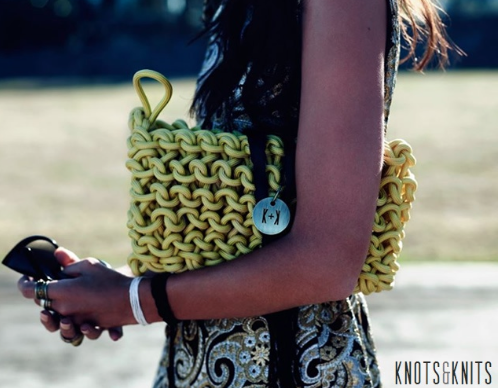 The label seems to be catching on quite a bit up north, I saw a couple as I was wandering around at Christmas time up in Brissy- its high time we saw a bit more of Knots and Knits coming down Melbourne way! 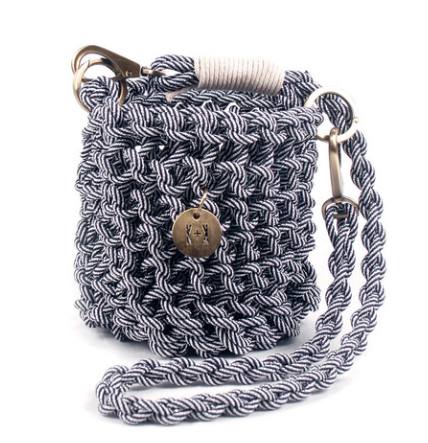 If you want something a bit different, great quality and a perfect summer bag- this is it. 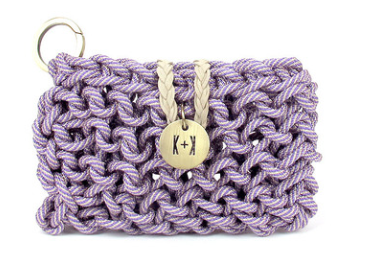 Follow Knots and Knits on Instagram (knotsandknits)to be the first in the know of limited releases, one off releases and new season sneak peeks! I mean the red version limited release around Valentines day was seriously amazing! 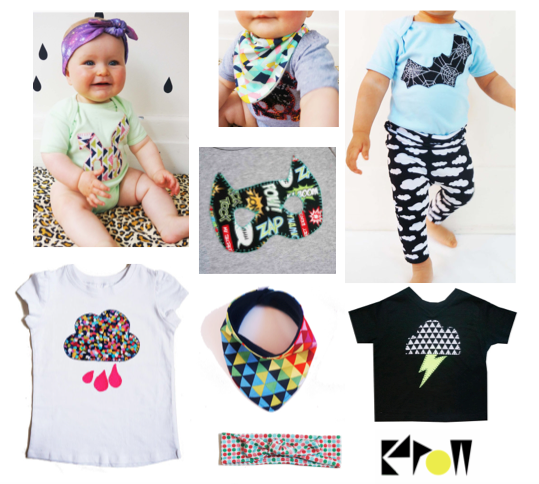 Tiniest post- I have been working on overhauling the site and other exciting things which is why its been a bit quiet! Hoping to start implementing the changes as of next week!! 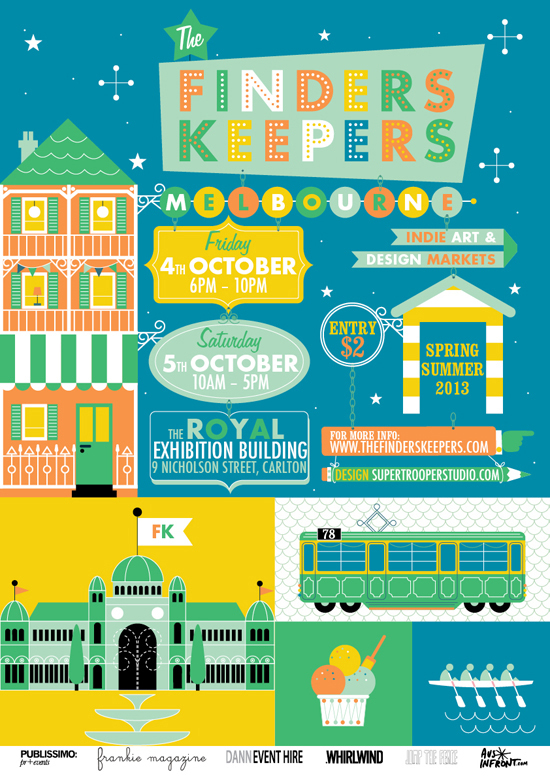 Melbourne this Friday night and Saturday the Finders Keepers market is back in town. A few of you told me how much you loved it last time- it is so worth checking out and even get your Christmas shopping done?! You can find out what sellers will be there here. Sydney and Brisbane your turn is in November and December. Harvest is a little bit of everything crafty. It is a workshop, a teaching space and a label all mixed in one. 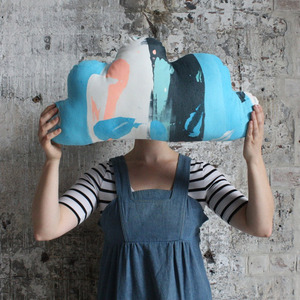 As a label, the talented ladies that make up Harvest Textiles create some really bright, unique and fun printed fabric and use it to make a wide range of products such as bags, leggings, cushions, quilts and skirts. 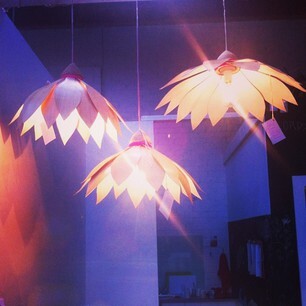 If you’re after bright, locally made items that are pretty much one off, then this would be a great place to have a peek! 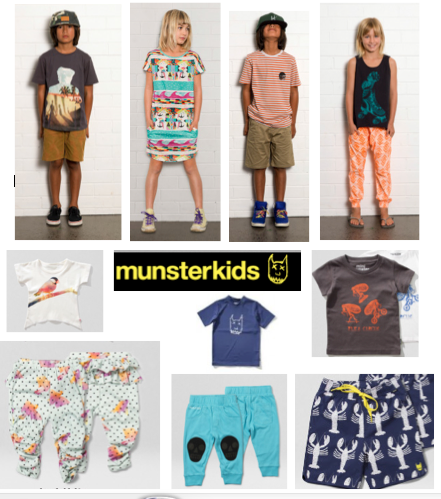 The workroom is hired out to be used as a printing and art space for some amazing Melbourne labels such as Full Drop Co, Peaches + Keen, Monolog and Fable Baby. I mentioned last week that screen printing is very ‘in’ right now. 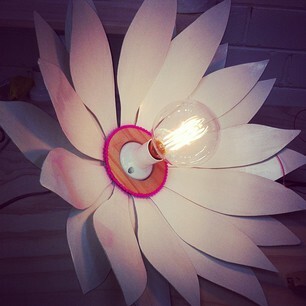 It is a way to make your product unique, and is essentially easy enough if you have the space, tools and ideas! 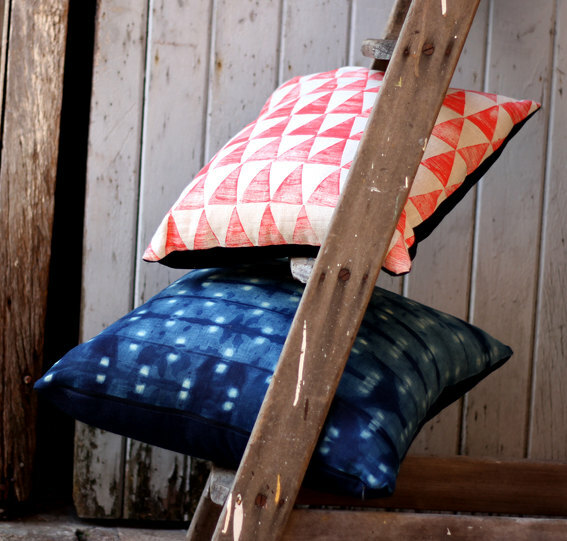 If you’d like to have a go and create some of your own fabric without getting too serious and just wanting to create enough fabric yardage to make your own cushions or something like that, then join in a class at Harvest! A range of classes are run from the workroom including guest workshops. Here you can learn to screen print in a day or in more detail over a few sessions, or as mentioned before take a class to design your own fabric yardage. You can also take a speciality class such as hand dying silk scarves or kitting, depending on who the guest artist is at the time. See the link for the classes and check out what is coming up in the next few months! Below I have added some pics from their site to show the fabric designs and products but jump onto their page for more info and inspiration! I have been slightly obsessed with this scarf once I came across it and although it is a small label, it is unique and very worth the mention! 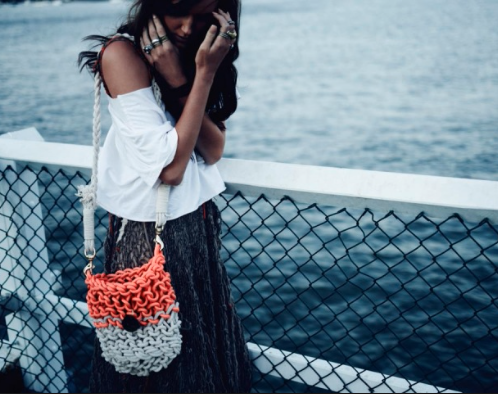 Pom is a small label that is based in Melbourne and everything is handmade of quality fabrics and materials such as silk, wool, bamboo and linen. 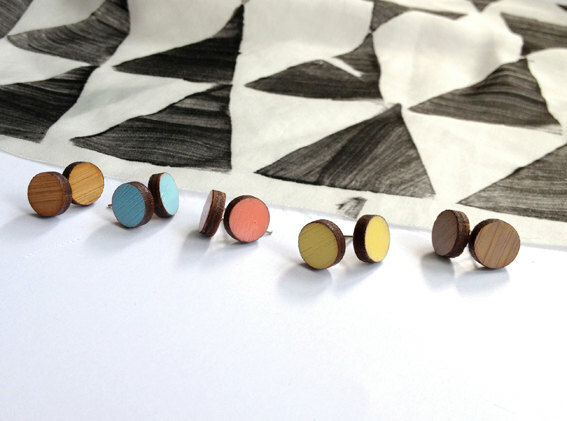 She also does a range of wooden jewellery that is simple and has great colours. 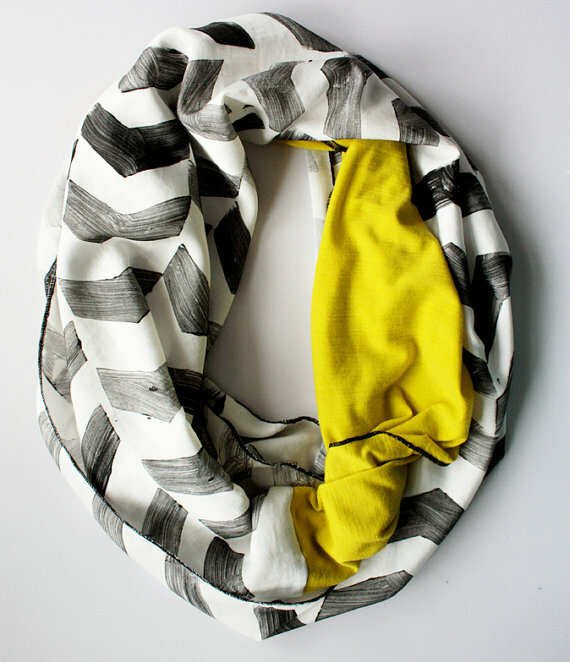 I’m mildly obsessed with the black chevron silk scarf with chartreuse merino wool inner. Mind you if you have ever tasted the French liquor chartreuse its enough to put you off anything sharing the name (my parents lived across the road from the distillery in the south of France so we have received many a bottle of chartreuse, I think which only ever get pulled out now if we are trying to show someone how disgusting it is!) 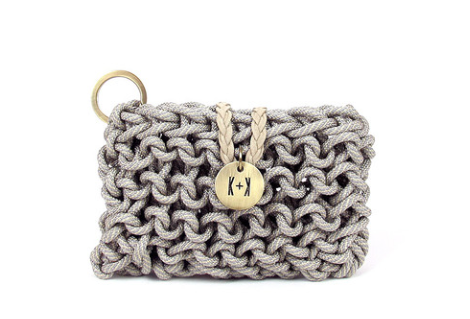 although my love of chevron might even things out! I love the colours used in the scarves and cushions! And because each is hand printed and hand made, they’re all a little bit unique! 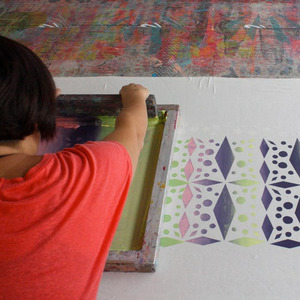 Screen printing is the next big thing it seems, everyone is getting on board and creating their own fabrics. 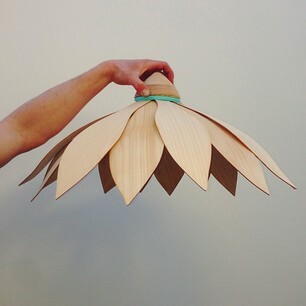 Essentially it is not that hard to do, it is just coming up with the ideas, materials and space. If you are interested in trying screen printing your own designs then stay tuned I will tell you when and were next week!